Apple took another hit to their iTunes service yesterday when Walt Disney and Hulu announced a new partnership while current partners NBC, ABC, and Fox all re-upped their agreements with the streaming service as well. CBS is probably kicking themselves for signing that exclusivity deal with YouTube about now too. Gartner analyst Michael McGuire says that “Over time, perhaps the direct-payment model goes away.” This is a direct reference to the iTunes pay-as-you-go model versus Hulu’s free-to-watch model with limited commercial interruptions during the show–the same model YouTube is using. Rumor has it that Hulu might be in talks with some major cable television giants too, which would make them king of the streaming broadcasts online–much to Google’s chagrin, I’m sure. iTunes, of course, still reigns supreme in digital music content. Now for the ringer: Hulu is apparently working on an iPhone and iPod Touch app to stream content to those portables. BusinessWeek’s Cliff Edwards writes that while all of this is happening, Apple has some summer surprises to release this year in the form of a “media pad” handheld. He also mentions that Apple CEO Steve Jobs is Disney’s largest shareholder–an interesting conundrum for the legendary geek. The Deal with Disney took months to complete. Peter Kafka at MediaMemo explains this. The situation basically boiled down to coordination between five different parties in multi-million dollar discussions. This joining of Disney to the Hulu venture is an interesting addition that will play out some exciting (to watch, at least) goings-on in the next few months. 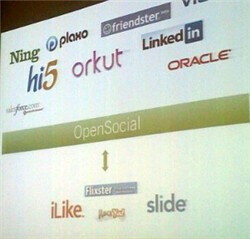 Monetised social network: will it reign?